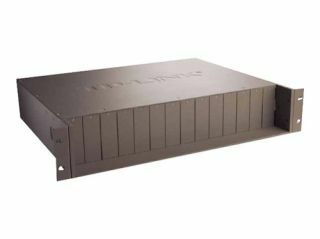 The TL-MC1400 14-Slot Rack-mount Chassis is specially designed to accommodate 14 TP-LINKs Media Converters for central power supply, saving space and power cables. Continuous operation is of great importance to fiber communication, so the chassis is equipped with optional redundant power supply and Hot-Swapping function which allows installing/removing the converter/power supply without powering off the chassis. Moreover, to stabilize the performance and extend the lifetime, two cooling fans are installed internally. Together with MC series Gigabit / Fast Ethernet media converters, TL-MC1400 is the ideal solution for your media conversion network.